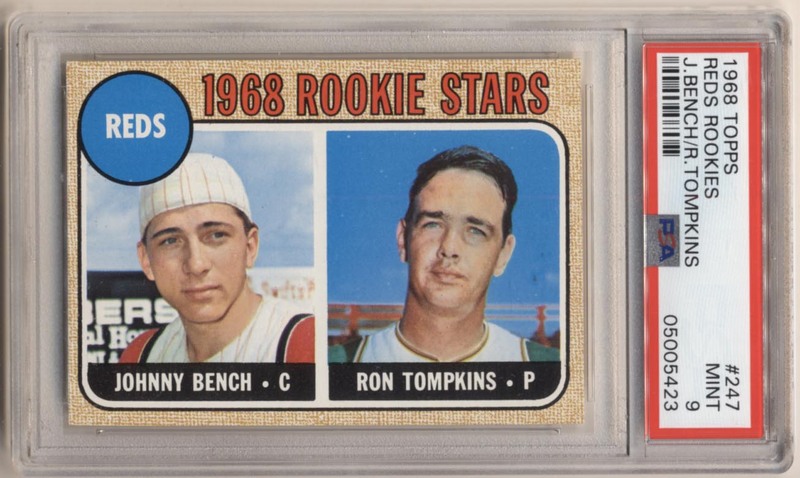 Great Mint Rookie Card, this has four perfect corners that do not show wear, even under magnification. The corners on the back are also Mint. Fairly well centered with deep color, perfect surfaces and tremendous eye appeal, this is a great looking card. Key Rookie Cards in this quality have been very hot in recent years, it will be interesting to see where this ends up.